Celeste Brusati , Karl A. E. Enenkel , and Walter S. Melion, eds. 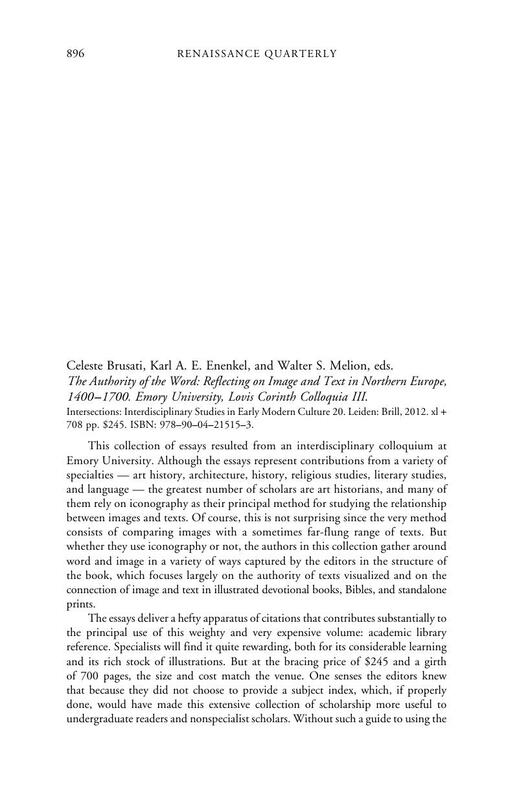 The Authority of the Word: Reflecting on Image and Text in Northern Europe, 1400–1700. Emory University, Lovis Corinth Colloquia III. Intersections: Interdisciplinary Studies in Early Modern Culture 20. Leiden: Brill, 2012. xl + 708 pp. $245. ISBN: 978–90–04–21515–3.